What is Final Flat Roof (FFR-K1)? Final Flat Roof (FFR-K1) ™ is the only 1-part, Kevlar infused, polymeric membrane roofing system. FFR-K1 can be installed over any existing flat roof and extend its life for up to 20 years. Final Flat Roof (FFR) contains 3 proprietary chemicals and additives that enable our coating to be installed under water if necessary. Final Flat Roof's thermo-resistance barrier performs similar to R-19 insulation. From the sub-freezing climate of the arctic oil fields, to the extreme desert conditions of Kuwait, Final Flat Roof (FFR) flat roof has performed to the highest standards. No special equipment is required; all you need is a paint roller and a drill to mix. No special skills are necessary; in 15 minutes we can teach anyone how to successfully restore their flat roof.can be applied in a single coat application over most roofing surfaces to achieve a seamless 100% waterproof membrane. Final Flat Roof (FFR-K1) ™ roofing products do not require special equipment for their application and can be sprayed, rolled or brushed onto a variety of conventional roofing systems to achieve a 100% waterproof solution. FFR-K1's highly reflective membrane will provide you with energy savings of up to 40% and a maintenance free roof for up to 20 years! Additionally, repairing your roof with FFR K1 will save you up to 50% as compared to replacing your existing roof! Final Flat Roof (FFR-K1) ™ can be applied to an existing roof with standing water and stop roof leaks. If a roof coating cannot be applied to the roof with water, then it cannot be waterproof and will fail quickly! 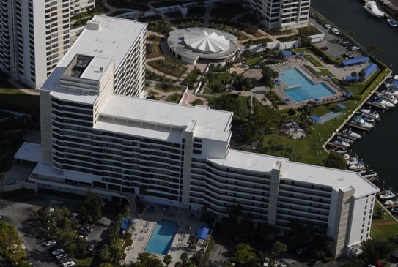 Final Flat Roof (FFR-K1) ™ is the only roof coating in the world that can be applied and cure even under salt water. 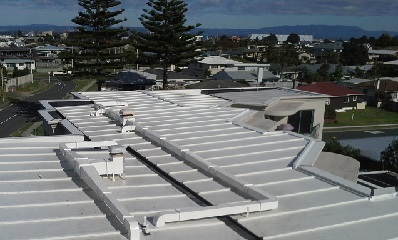 Emergency Flat Roof Repair - FFR-K1 Installed on a WET ROOF! Final Flat Roof (FFR) ™ is the only product you will need for all of your flat roof repairs and will extend the life of your existing flat roof by up to 20 years! Please call us today for your free flat roof repair analysis. Please click on the State below to find your local Flat Roof Repair Specialist. Have one of our professional Flat Roof consultants help you with your Flat Roof Repair needs. Please enter the Code in the image below. View our Interview with Donald Trump Jr.
See how Final Flat Roof (FFR-K1) ™ can be repair a flat roof with standing water! See how Final Flat Roof (FFR-K1) ™ is easily installed! Learn how FFR-K1 was used to repair a foundation crack and seal out water! Learn about the Final Flat Roof (FFR-K1) ™ Difference! Learn why Final Flat Roof (FFR-K1) ™ is for your building! • Update...Review FFR-K1's Energy Star Ratings! • Port Authority of NY/NJ saved over 27% in reduced Cooling Costs by using Final Flat Roof! - Read more..
• The Mid Atlantic Real Estate Journal - Jan. 2012 - Learn how Final Flat Roof enabled the Port Authority of NY/NJ to reduce Energy Expenses by over 27%! • Final Flat Roof (FFR) named the 2011 NY and NJ Green Roofer by the Mid Atlantic Real Estate Journal. • Buildings Magazine names Final Flat Roof (FFR) one of the Top Money Saving Products for 2010! FFR-K1 Installed on a WET ROOF! 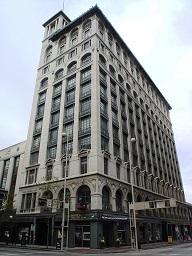 Final Flat Roof sealed multiple roofs on this historic building, eliminating all leaks! “"We had a leak in the lobby section of our 70,000 sf building on Long Island and until we used your product we were never able to stop the leaks in that area. After just one application of your coating, the roof/parapet walls stopped leaking. I was impressed to know that it will cure under water in an emergency, if the case arises.